Finance Monthly delves into the potential impact of an ‘Amazon tax’ and the alternative solutions that can help the struggling British bricks-and-mortar retailers. With a series of high-profile collapses and CVAs, including the recent turbulences that House of Fraser is faced with, Britain has seen its fair share of high-street horror stories in 2018. Stores like Toys R Us UK, Maplin and Mothercare are all facing extinction, whilst online retailers such as Amazon are stronger than ever, cashing in $2.5bn per quarter and paying less and less corporation tax with Amazon’s UK tax bill falling about 40% in 2017, and it paying just £4.6 million ($5.6 million). In times like these, the UK retail industry has naturally called on the Government to review its outdated corporation tax system and take action to help the struggling high street. Chancellor Philip Hammond has in turn announced that he is considering a special retail tax on online business, dubbed the ‘Amazon tax’, in order to establish a “level-playing field” for online retailers and high-street shops. But is a new tax really the solution that will balance the market out? Will it be the solution that traditional trade needs? Is Amazon’s Existence the Biggest Problem? Consumer habits are changing rapidly with the continued growth of online shopping, but the truth is that the extraordinary success of web traders is only one of the aspects to consider when looking for the reasons behind the decline in traditional retail. And even though a hike in the tax that Amazon pays may seem like a necessary and logical step, it will be nothing more than a minor distraction from the bigger issue and something that will mainly benefit the Treasury. It is worth noting that the UK store chains that have collapsed recently did so due to not having the right products at the right prices, not staying up-to-date with consumer trends, not targeting the right customers or not investing enough in their businesses. 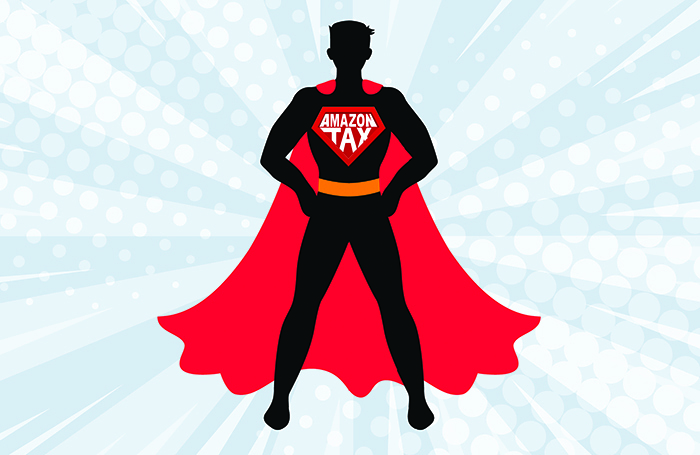 Surely, online-only merchants have transformed the trade landscape and the UK tax system needs to be adjusted in order to reflect the current retail dynamics – especially when Amazon’s tax bill for 2017 was only £4.6 million on £2 billion of sales. But is the fact that the web giant is paying such a low amount of tax the reason for the collapse of a number of bricks-and-mortar retailers? I think not. Moreover, as Bloomberg points out, an internet shopping tax could end up backfiring and hurting the bricks-and-mortar retailers it is intended to help. According to the British Retail Consortium, in 2017, more than 17% of sales were made online. Over half of them were with businesses that also have shops. Thus, retailers such as Next Plc, which has both online and offline businesses, could face “a double tax whammy”. Driving restrictions around city centres, increased parking charges by local councils and state demands such as minimum wage legislation and Sunday trading laws have had a negative impact on bricks-and-mortar retail. Then there is the main challenge in the face of sky-high business rates which have been the bane of countless entrepreneurs trying to establish a high-street presence. In an article for The Telegraph, Ruth Davidson wrote that the UK retail sector, which makes up 5% of the country’s economy, is paying “25% of all business rates, over £7 billion per year”. One might argue that in order to help bricks-and-mortar retailers and keep British town centres bustling with thriving commerce, politicians could perhaps work towards reducing the financial burden they’re faced with, before punishing web giants for offering an easy and convenient way to shop in this digital era. In order to keep up with their online competitors, traditional stores need to focus on technology innovation and redesigning the experience that the modern-day customer expects. But most importantly, they need the budget to do so and a reduction in business rates for high-street stores could be one way to provide them with some extra cash to invest in technology. Another thing to consider, as Andrea Felsted suggests, could be raising business rates for offices and warehouses and cutting them for shops. That would “address the disparity between shopfront-heavy retailers and online-only businesses, which rely on distribution centres to serve their customers”. A potential Amazon tax for all web-only retailers will not help bricks-and-mortar retail to innovate. Surely, it will level the playing field, but apart from that, all we can expect will be a slowdown in online shopping without doing anything to solve the current problems that traditional traders are struggling with.